I stumbled across this delightful BBC show from the 1970’s on Netflix last fall, and thought some of you might also enjoy it. The Good Life (also called Good Neighbours) follows the trials and tribulations of a couple who decide to turn their suburban London lot into a self-sufficient farmstead. The characters are charming, and their antics, hysterical. (From the BBC website): On his 40th birthday to be precise, Tom Good decides that he’s had enough of the rat race and that he and wife Barbara will become self-sufficient. The pair convert their garden into a farm, get in the pigs and chickens, grow their own crops, and on one memorable occasion, try to dye their own wool with nettles. Tom and Barbara would just be lone loons were it not for their neighbours, the henpecked Jerry Leadbetter and wife Margot, a social climber who cannot bear chickens wandering the back garden. The Good Life attacked the middle class and the ‘alternative’ lifestyle at once, showing Margot’s snobbishness as blindness, and Tom’s fanatical self-sufficiency as going too far. It doesn’t seem to be on the Canadian Netflix site anymore, but may still be on the American one. I have included a link where you can watch it online for free (at least the first two seasons); otherwise, you can stream it on Amazon. We used to watch this on PBS when I was a teenager in the 70s & early 80s. 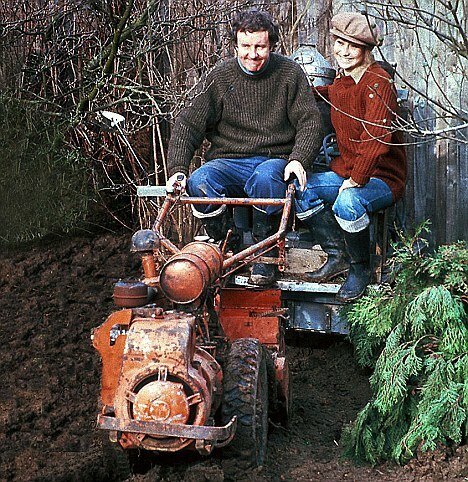 Loved that show, probably because I sort of identified with it – my dad was organic gardening in our large urban lot long before organic became a certifiable word or a USDA-owned label. Absolutely, I think it's still relevant today, perhaps even more so! I'm going to download it and give it a watch! Thank you, Cheryl.